The Draper 77.5 x 138.5" Ultimate Folding Screen with Heavy Duty Legs is unique in its design. It is manufactured with 100% CNC (Computer Numerical Controlled) components and assembly. All the included tubing is machined and cut to precision. Even the rivets and snap holes are tightly controlled during production. The Ultimate Screen is a wonderful additional to any school or business that requires a reliable and easy-to-use screen but does not want a permanent installation. The heavy duty wheeled case is made from polyethylene and is a breeze to travel with - and also provides maximum protection for the components. 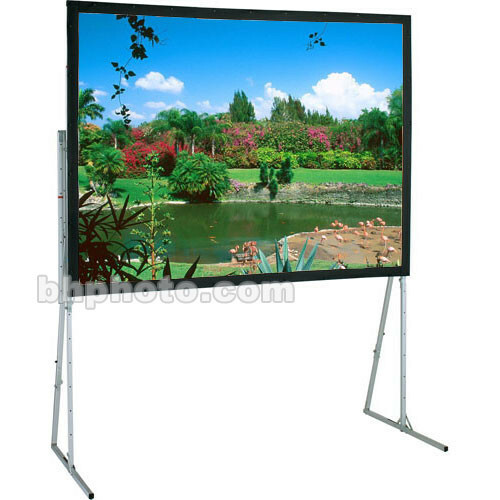 The Heavy-Duty Legs offer extra stability and keystone elimination which the Standard version of this screen does not.